Recently, we represented a driver who was injured when a new driver traveling in the opposite direction failed to yield, and instead made a left turn directly in front of our client’s vehicle, causing the two-car collision. However, if someone traveling in the opposite direction makes a left turn directly in front of your vehicle, that other driver is responsible for the accident. Your vehicle has the right of way. That other driver should not have driven across your lane of traffic until after your vehicle has passed. Here is an example of the motion we filed for a ruling, prior to the start of trial, that the driver of the other vehicle was solely responsible for the accident, and that our driver was entirely free of fault. For an order pursuant to CPLR Rule 3212 granting partial summary judgment in favor of Plaintiff and against Defendant, as to liability, for an award of costs, disbursements and reasonable attorney’s fees to abide this motion, and for such other and further relief as to this Court may seem just and proper. The above-entitled action is for personal injuries. This action is on the trial calendar. PLEASE TAKE FURTHER NOTICE that, pursuant to Section 2214(b) of the Civil Practice Law and Rules, all answering papers, if any, shall be served at least seven (7) days before the return date of this motion. The law firm of MARTIN + COLIN, P.C. is the attorney of record for the plaintiff. As the deponent, I am thoroughly familiar with the facts and circumstances herein based upon my review of the contents of the plaintiff’s file maintained by this office. 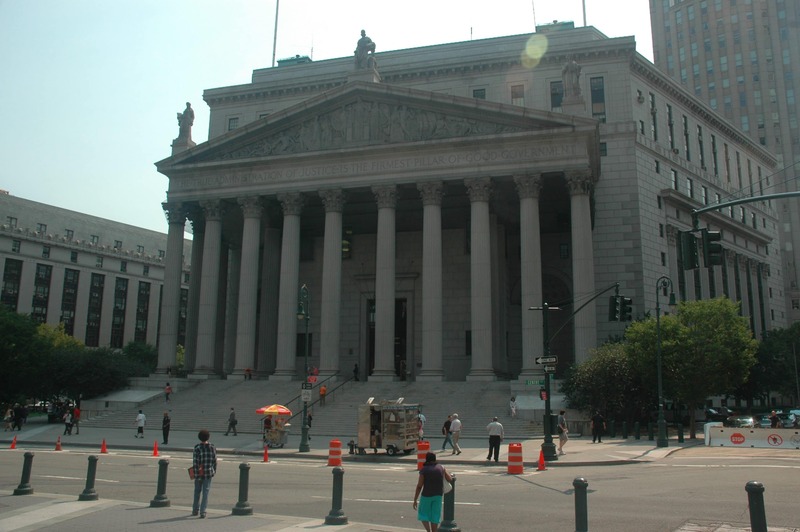 Exhibit “D”- Yuknek v Scavo, Supreme Court of the State of New York, County of Nassau (September 2003). For all the reasons that follow, Plaintiff asks that this motion be granted in all respects. The parties were involved in a two-car accident which caused Mr. Fernandez to suffer serious personal injuries. Plaintiff in this case, i.e., Mr. Fernandez, seeks reasonable and fair compensation for his serious personal injuries sustained as a result of the defendant’s negligent ownership and operation of a motor vehicle. In summary, defendant made a left turn into plaintiff’s vehicle while attempting to enter the Saw Mill River Parkway from Yonkers Avenue. See Accident Report attached hereto as Exhibit “B”. As a result of the accident, Plaintiff sustained serious injuries to his left shoulder, requiring surgery, as well as neck, back, head and knee pain. The other driver in this two-car accident, MARTA TAVAREZ, testified that on October 12, 2014 she was driving her mother and aunt to their place of work (Ex. “C” p.9), and that she had only started driving approximately one month before the accident. (Ex. “C” p. 11). Defendant testified that she was traveling on Yonkers Avenue in the direction toward the Saw Mill River Parkway and was in the turn only lane with one vehicle ahead of her. (Ex. “C” p. 15). The driver of the offending vehicle testified that as she approached the intersection the light in her direction was green, that she saw the car in front of her turn, and that she followed the car ahead of her and turned right after them. (Ex. “C” p. 16). She offending driver testified that she did not see any vehicles in the opposite direction on the other side of the intersection. (Ex. “C” p. 16). The driver of the other vehicle testified that it was not dark outside, and that the sun was starting to come out. (Ex. “C” p. 16). She testified that at the intersection where the accident occurred the roadway was flat. (Ex. “C” p. 18). Defendant testified that as she approached the intersection she did not stop at all before she made the left turn towards the Saw Mill Parkway. (Ex. “C” p. 19). The other driver testified that when she observed the damage to the vehicles at the scene of the accident she observed the front of her vehicle was “crashed” and the driver’s side of the plaintiff’s vehicle was damaged. (Ex. “C” p. 23). She testified that she called 911 and told them that “I was making a left turn to go into the Saw Mill and that I collided with the other vehicle.” (Ex. “C” p. 24). Proof that defendant’s vehicle came over to the wrong side of the road and caused damage makes out a prima facie case and puts upon the party responsible for the actions of that vehicle the burden of coming forward with an explanation. Lyons v. DeVore, 48 A.D.2d 943, 368 N.Y.S.2d 887 (3d Dept., 1975), affd 39 N.Y.2d 971, 387 N.Y.S.2d 108 (1976); Pfaffenbach v White Plains Exp. Corp., 17 N.Y.2d 132, 269 N.Y.S.2d 115 (1966); Fox v Lyte, 143 A.D.2d 390, 520 N.Y.S.2d 432 (2d Dept. 1988); Fagle v. Bell, 65 A.D.2d 887, 410 N.Y.S.2d 422 (3d Dept. 1978); Novis v Sheinkin, 60 A.D.2d 623, 400 N.Y.S.2d 161 (2d Dept. 1977); Bergeron v Hyer, 55 A.D.2d 417, 353 N.Y.S.2d 767 (4th 1977); Simmons v. Stiles, 43 A.D.2d 417, 353 N.Y.S.257 (3d Dept. 1974); Manzi v Grand Ave Cab Co., 42 A.D.2d 607, 345 N.Y.S.2d 120 (2d Dept. 1973); Lewis v. Rivers, 41 A.D.2d 667, 340 N.Y.S.2d 671 (2d Dept. 1973); Stafford v. Mussers Potato Chips, 39 A.D.2d 831, 333 N.Y.S.2d 139 (4th Dept. 1972). Plaintiff is not required to anticipate that a vehicle, or that a portion of a vehicle, traveling on the opposite side of the road will cross over into oncoming traffic. Gajjar v. Shah, 31 A.D.3d 377, 817, N.Y.S.2d 653 (Second Dept. 2006). The other driver violated Vehicle and Traffic Law §§ 1141 and 1163(a) when she made a left turn directly into the path of Plaintiff’s vehicle. The defendant was negligent in failing to see that which, under the circumstances, she should have seen and in crossing into the plaintiff’s lane of traffic when it was hazardous to do so. Yuknek v. Scavo, Supreme Court Nassau County (2003), attached hereto as Exhibit “D”, citing Russo v. Scibetti, 298 A.D.2d 514 (2d Dept 2002); Agin v Rehfeldt, 284 A.D.2d 352 (2d Dept. 2001); Stiles v. County of Dutchess, 278 A.D.2d 304 (2d Dept. 2000). Plaintiff, who had the right of way, was entitled to anticipate that the defendant would obey the traffic laws which required her to yield and to turn only when able to do so with reasonable safety, see Yuknek v. Scavo, supra citing Cenovski v. Lee, 266 A.D.2d 424 (2d Dept. 1999). The other driver had a duty to see what was to be seen, namely, the plaintiff’s vehicle. Yuknek v Scavo, supra, citing Stiles v. County of Dutchess, supra, Zambrano v. Seok, 277 A.D.2d 312 (2d Dept. 2000). See also Hudson v. Goodwin, 272 A.D.2d 296 (2d Dept. 2000) and a driver is negligent where an accident occurs because he or she has failed to see that which through proper use of his or her senses he or she should have seen. Breslin v. Rudden, 291 A.D.2d 471 (2d Dept. 2002). In this case, defendant failed to see plaintiff’s approaching vehicle and failed to yield the right of way. Yuknek v. Scavo citing Szcotka v. Adler, 291 A.D.2d 444 (2d Dept. 2002). Based on the above, partial summary judgment as to liability should be granted against defendant and in favor of plaintiff. Defendant’s first affirmative defendant, sounding in comparative fault and culpable conduct of the plaintiff must also be dismissed for the same reasons. There has been no prior application made for the relief herein sought. WHEREFORE, it is respectfully requested that this motion be granted in its entirety, and that such other and further relief be granted as to this Court seems just and proper, including the costs of this motion. That’s it! It was a car accident caused by the other driver making a left hand turn across traffic immediately in front of our driver. As a result of the dangerous turn, a collision occurred and our driver suffered personal injuries. What happened after the motion was filed? The insurance company for the other driver settled the case! The experienced accident lawyers at Martin + Colin, P.C. applied their combined expertise handling similar car crash cases and, at our client’s request, successfully convinced the other driver’s insurance company that a settlement was better than a ruling that the other driver was liable as a matter of law. Our experienced personal injury and auto accident lawyers can be contacted by phone at (914) 771 7711 or online at martincolin.com If you have been hurt in an accident due to the negligence of another person or firm, Martin + Colin, P.C. may be able to help. Please call (914) 771 7711 or email using the ‘Contact Us’ form on this webpage.